Its another beautiful day here in St Leonard’s on Sea and myself and Ollie went over to the DLW this morning to source more sounds for our upcoming project and performance later in the year. 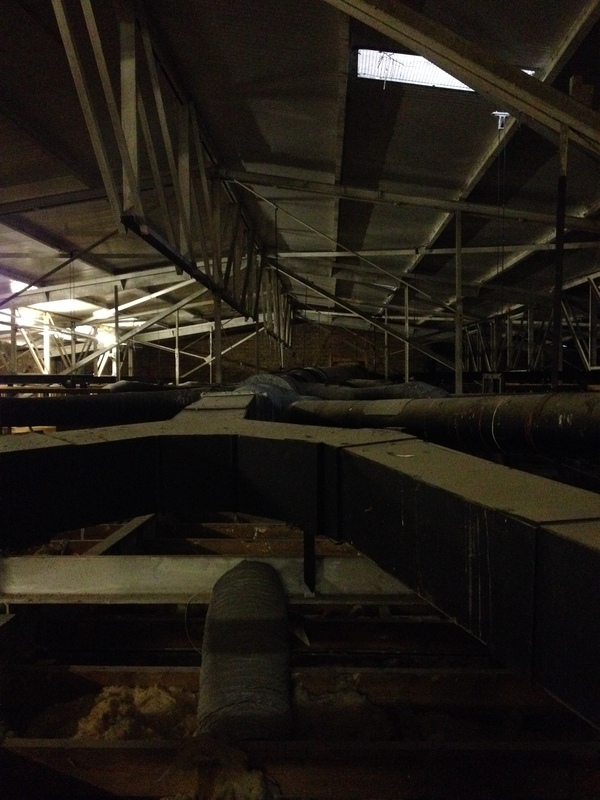 We were keen to get into the belly of the DLW particularly the basement and roof areas both of which house the inner workings of this immense building. Keen to capture the real heart of this structure we ventured to the top of the building, where the whirring of of the AC and lift coolers would add another colour to our sound palate. We have quite a collection already and each visit just throws up so many new avenues for us to travel down! We look forward to our next visit!